we would like to invite you for the first round of EC 2014. EC 2014 starts in Valgoglio in 27 days! Don´t forget to do the pre-inscription for your riders, discount 5 viz. agenda. See you on 13.7.2014 in Valgoglio in Italy!! Our friend Mr. Rafa De La Torre call me on telephone today about this very good news. Rafa, with a very good job, find a positive solution to the problem about the Spanish competition of the WBC 2014. Some minutes ago I receive official communication from BikeTrial Union Espanola to confirm this news. The Agreement of the first round of the WBC 2014 is now signed and in the hands of Rafa. The first Round of the WBC 2014 programmed the 09 and 10 August 2014 in Muinos (deleted) is moved in the town of Bueu (Pontevedra) in the Galizia region. 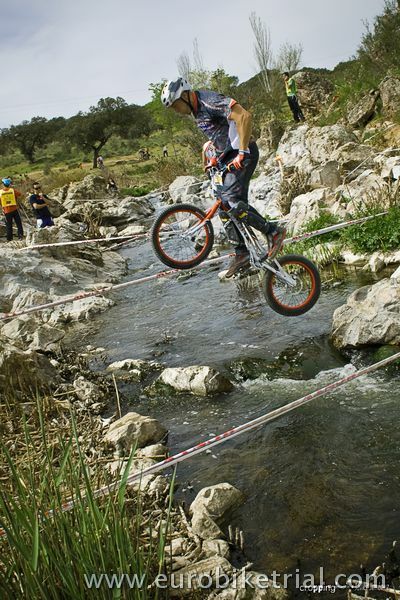 The organizer of the competition in Bueu will be a Moto Trial Club with a very good experience in events organization. Section, Camping, Observers, Open and Award ceremony and many others things will be OK in Bueu. The date of the competition will be, of course, the same. All the 3 Official Agenda will be ready in a very short time. Others new information about the competitions will be shared in few days. I will update news also on BIU web site. 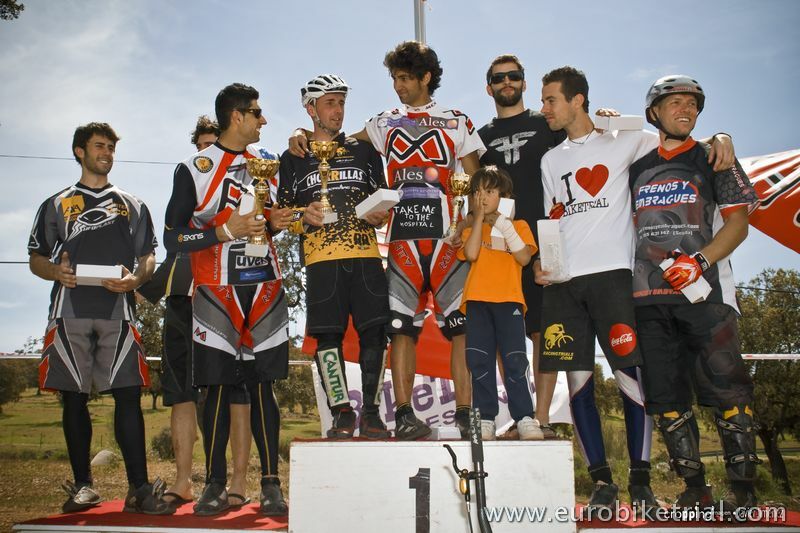 Thank to BikeTrial Union Espanola for this results. The WBC 2014 will be on 3 competitions. We are going to have European cup 2014 as well!!! It will be a very good opportunity to compete internationaly just before WBC 2013 in a very nice piece of Italy and enjoy your holiday. 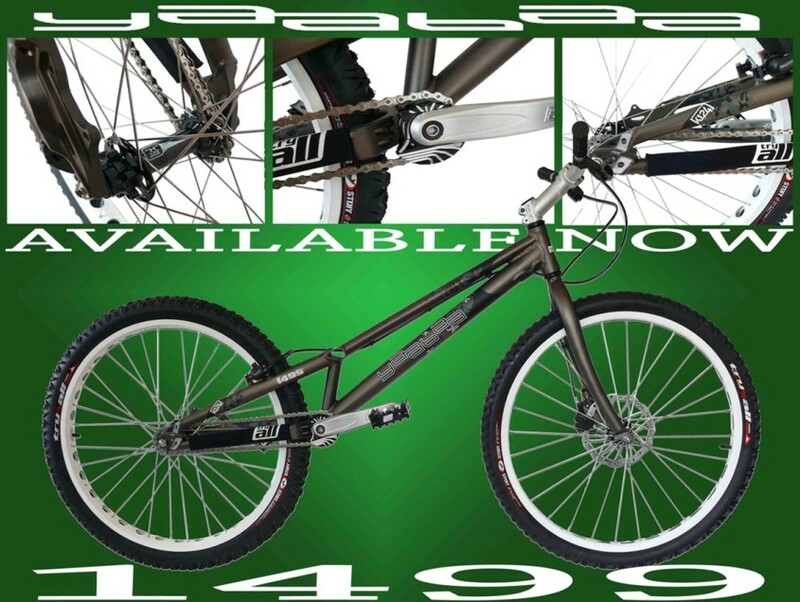 For update watch our web pages. Amazing game for children from 2 to 5 years old take place on the 5th January in Corbera de Llobregat, just 12Km from Barcelona city. It was amazing game (no competition) for about 35 children. The organizer were from the Moto Club Corbera. Radostne vanoce a Stastny a vesely novy rok ! I´m proudly presenting my new website to all the world. After more than two years of exciting work, is available in Internet my new site www.trialsin.es. This site would like to be the virtual encyclopedia of classic Biketrial, from the first tries until 1992, when Trialsin name dissappeared. There you'll find a lot of sections where find all relative to that times, so different from now. I wish this site like you and your visit transport you to some of the most happy moments of your life. I am going to send you the plan for WBC of each round. 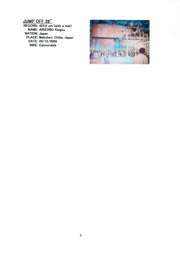 I need your corporation for our events. I will join WBC in Italy. 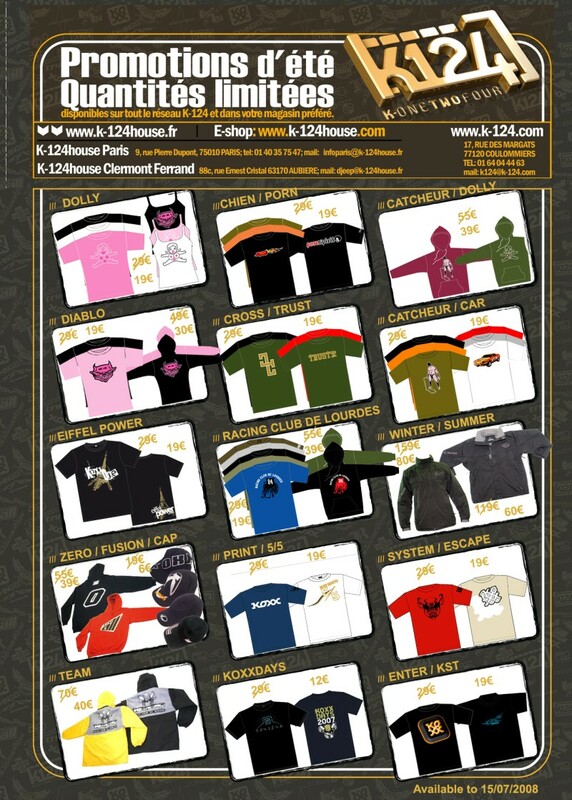 Below is the official of 2012 WBC. We need your corporation. Please enter the license numbers and the country. ATTENTION!! Will extend the deadline for pre-registration until April 25. But, please Do it as soon as possible, for better anticipation of the organization! Tomorrow will send more information, previous of the race. 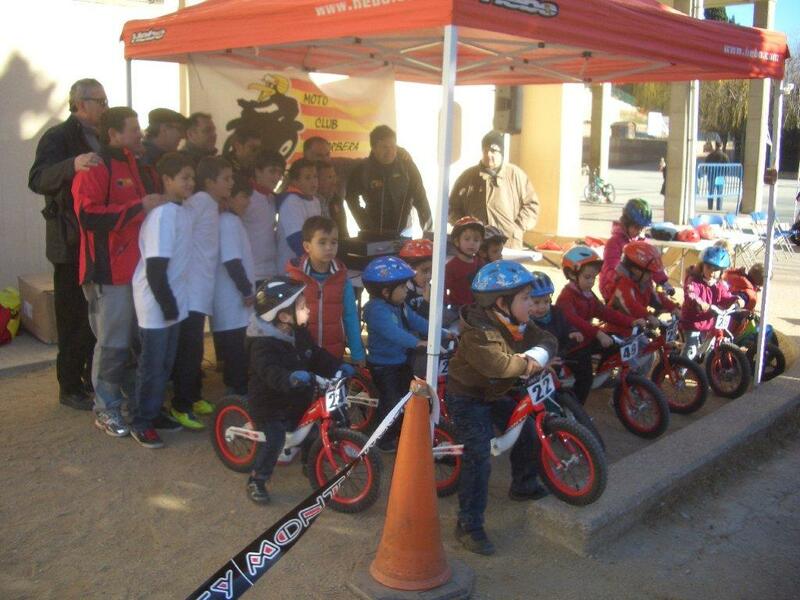 The local club, "BikeTrial Matarranya" was doing a great job and will be a great competition, we're waiting. I am return yesterday in one piece at 15:00 in Italy. Daniele and Sara pick up me in airport. I see two new important activity: Kameoka Cup and Blind BikeTrial. KC is a Traditional  NOT  Traditional competition. What I mean ? It is a traditional BikeTrial competition but with many many little modification that create the perfect environment for new comers. It very strange (but very beautiful) meet 55 years old people with BikeTrial and woman with children in competition ! Very nice. This is possible with the little but important modification that Hiro and Mishima have create for Kameoka Cup competition formula. I think that very soon in Italy I can organize the first Kameoka Italian Event. Yes. I think also Traditional - Not - Traditional definition is a good name for this competition. 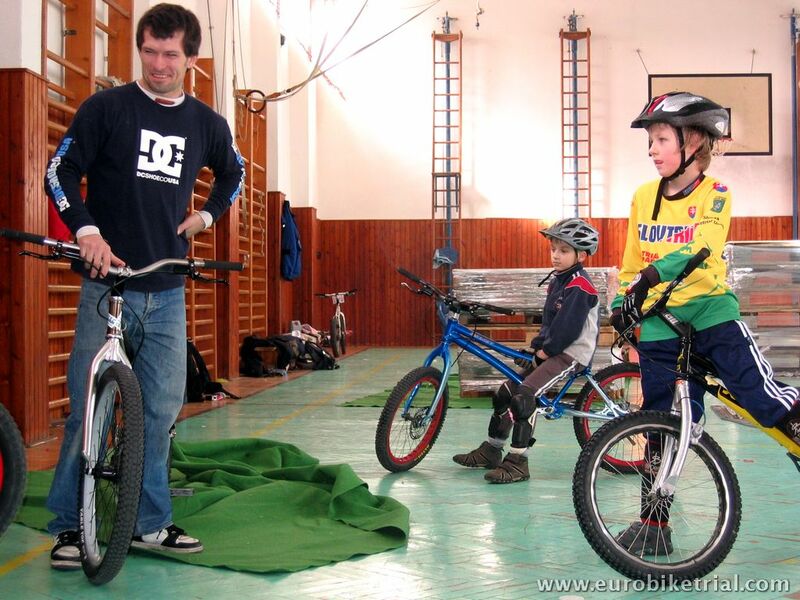 Maybe We can use "TNT - BikeTrial" for start this new activity in BIU - EBU. VERY important activity. So important that we must use attention before public speaking of this activity. I think that other Federation like UCI can stolen us this good idea. I suggest to Hiro to write on paper the rules and send us in Europe to sign and give legal value on rules. At least on the chronology and paternity of this new Sport. It is a simple version of BikeTrial for Blind people. In BikeTrial exist the Minder and it is usual in BikeTrial. The Minder is the co-protagonist with the Rider in Blind BikeTrial. He must talk with the Rider and explain he the direction and other suggestion. 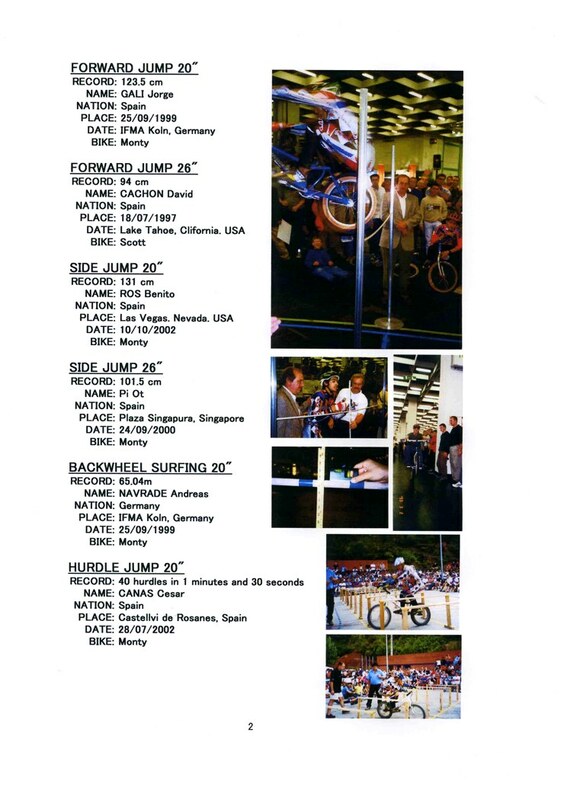 I think Blind BikeTrial is a really very important activity for EBU  BIU and we can organize the first Event in Europe of this new Sport very soon to have paternity in EBU. This is the only way to give at blind people the possibility to compete with bike. This is the only way to give at blind people the possibility to enjoy with bike. In all traditional other para-olympic sport blind are on the behind of tandem. They dont ride directly the bike. In BBT this is possible. BBT is also the way for BIU to have para-olympic (Official) activity. 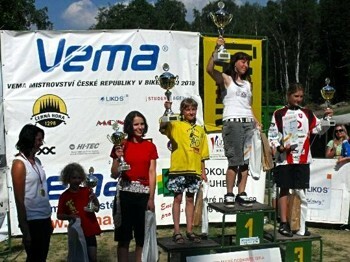 A school championship (schools and clubs of biketrial), with more than 50 riders, was a good day. There was the promotional category of veterans with 5 riders. Push also the category with 7 riders, including Cabestany sisters, daughters of Albert Cabestany!!!! This time also promoted regional sports council informed the schools making a call for students to come to know the sport. the experience was good and involved 32 students. We prepared a special area for them, initiation, and loans bikes .. In total over 80 people on a good day in BikeTrial Park of Torredembarra!! BUE / BAC administration has already communicated the results of the Elections in Catalunya and Spain where the elected candidates were me, Josep Abant, to direct the Biketrial Associació Catalana and Rafael de la Torre for the Biketrial Unión Espanola. This letter is my official presentation, I am willing to help you from Catalunya for all necessary, and I ask you to temporarily add address to the communication about topics related with Biketrial. All members of the board want to contribute to improve and enlarge the Biketrial and the riders. We are already working on it, and we hope we can do a good job. We have received this information from Mr. Pere Pi who is a founder of our lovely sport. It´s the inspiration for our European BikeTrial community. 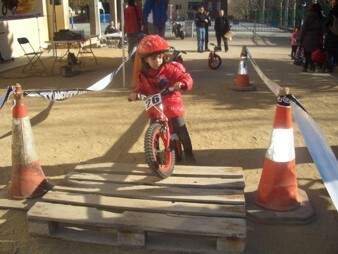 The BikeTrial Bajo Aragon organized his first Push-BikeTrial ( bicycle without pedals) with a great success on the occasion of the last round towards the Spanish BikeTrial Championship. The event took place in the  Motorland  (International motor and car truck of Alcaniz). The Push-BikeTrial are  Sportive-Fests for children from 2 to 5 years old, resulting super-happy events towards the families as well. Attached: The results and some photos. I will send you de small video later, after I receive from the organizer). Saturday the 24th was held the final round of the Swedish Championships. The course was very muddy and slippery because of a massive rain the week before the comp. During the comp we had sunshine and it became a good day with some good results and some high scores. This time we had competitors from four countrys, Sweden, Denmark, Norway and France. Ill attach the results from the day and the overall results. Yesterday was held the 4th round of the Swedish Championship in Björkvik. Once again we were lucky with the weather, no rain in any comp in Sweden so fare this year. Two weeks left to the final round. Hi Libor, Anna, Here a small report from Denmark, not much text but the pictures say it all :0)) In the last 3 weeks we have arranged 2 and 3 round of the Danish Championship, both rounds was fantastic, the 2 round was the official opening of the new Trial and Parkour Park in Viborg. 60 riders and a lot of public all day. The sections were perfect with a lot of precision and jumps. 3 Round was hold in a forest with a lot of old concrete a great nature with trees and blue sky. Again a lot of riders, 55 in all but a lot of kids in young ages. Good for the future bike trial in Denmark. 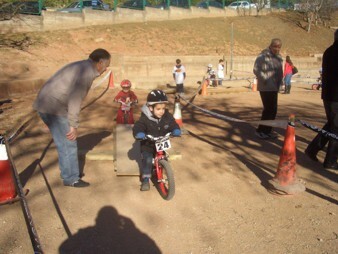 The competition was a great success, parents could not believe that their kids could do on a bike, normally they only see them on pallets behind their house. The sections were perfect, very technical with a lot of small stones and slippery ground before the jumps. Some spectacular jumps in group E and A. 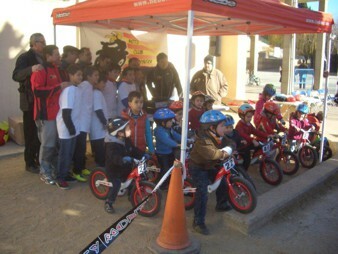 Pictures from Mejrup Trial Club, they got a lot of young riders, mostly Monty 207 bikes. but biketrial i's my dream. of: B - I - K - E - T - R - I - A - L! We would like to inform you about the current collection balance. We have received 331 euro and 20 GBP. We would like to thank to all donors. 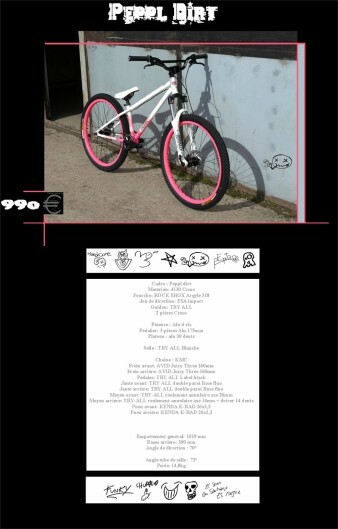 You can still contribute to help for Japanese BikeTrial friends via the E.B.U. account (nr: 35-4355360257/0100, IBAN CZ1001000000354355360257, SWIFT (BIC) KOMBCZPPXXX), operation symbol is 1100100 or hand them over directly to the E.B.U. Treasurer Mr. Janoka during the EC in France. We thank you very much in advance for all contributions. Today was organized an competition between the top 6 of Swedish champs 2010. The comp was held in Alingsas with a lot of spectators. Bo had made quite hard sections so it was a good warm up before the EBC. Last Saturday was held the first round of the the Swedish Championship. This time we tried a new venue in Skarhamn, close to the coastline, realy nice rocks and cliffs. We where also very lucky with the weather, clear sun and a mild breeze. Earlier in that week we had freezing cold in the mornings and even some snow one morning. Thanksgiving to Anna Sidlikova for her work in the E.B.U. The today´s current collection balance is: 200 EUR and 20 GBP. 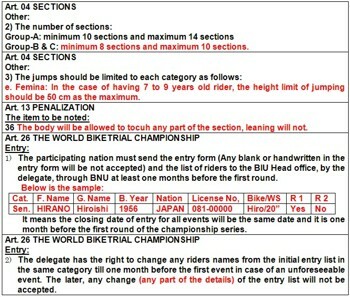 If you want to contribute to help for Japanese BikeTrial friends, please let us know. You can submit your contributions via the E.B.U. account (nr: 35-4355360257/0100, IBAN CZ1001000000354355360257, SWIFT (BIC) KOMBCZPPXXX), operation symbol is 1100100 or hand them over directly to the E.B.U. Treasurer Mr. Janoka during the EBC in Sweden. We are planning to have a collection during the EBC. during the next round of Italian Championship, Sunday 15th May we collect offer from rider. 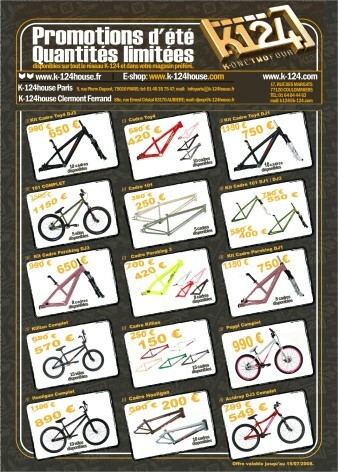 Now we have ready € 100 from BikeTrial Italia case. 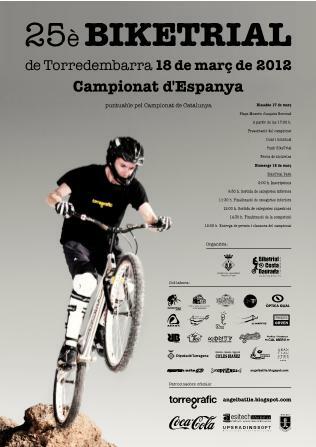 We have spent Torredembarra's competition to another date, obviously only of Championship of Spain and Catalonia. The date is interesting because we realize two competitions of Championship Spain and Catalonia in a weekend. Organized by club BikeTrial Costa Daurada. On Saturday, the 2nd of April in Torredembarra, schedule 14h start the race. On Sunday, the 3rd of April in Vilanova de Prades, schedule 10h start the race. It can be interesting for riders of different countries though it's C.Espana. 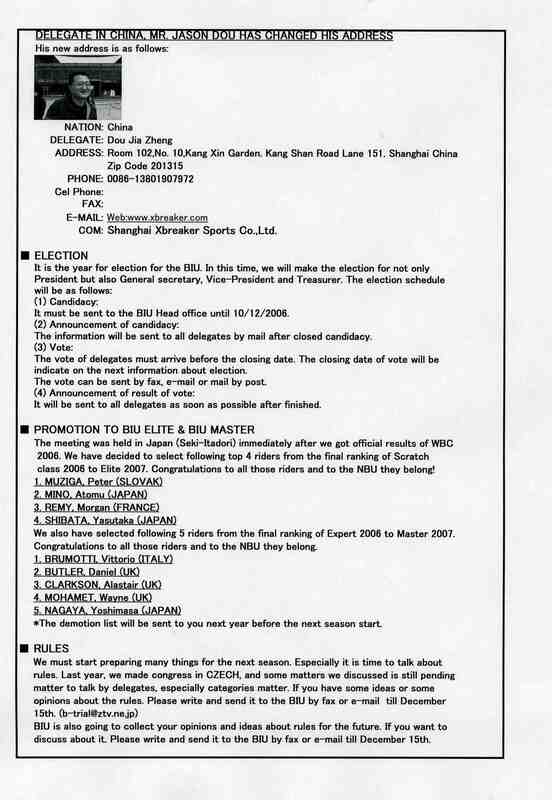 Please send these information to the delegates. On the other hand, I want to transmit the desire to fulfil European Cup in 2012, in Spain, in Valderrobres a place where already championship of Spain has been realized previous years and they have a great equipment of work. It's possible to reserve adte to 2012? 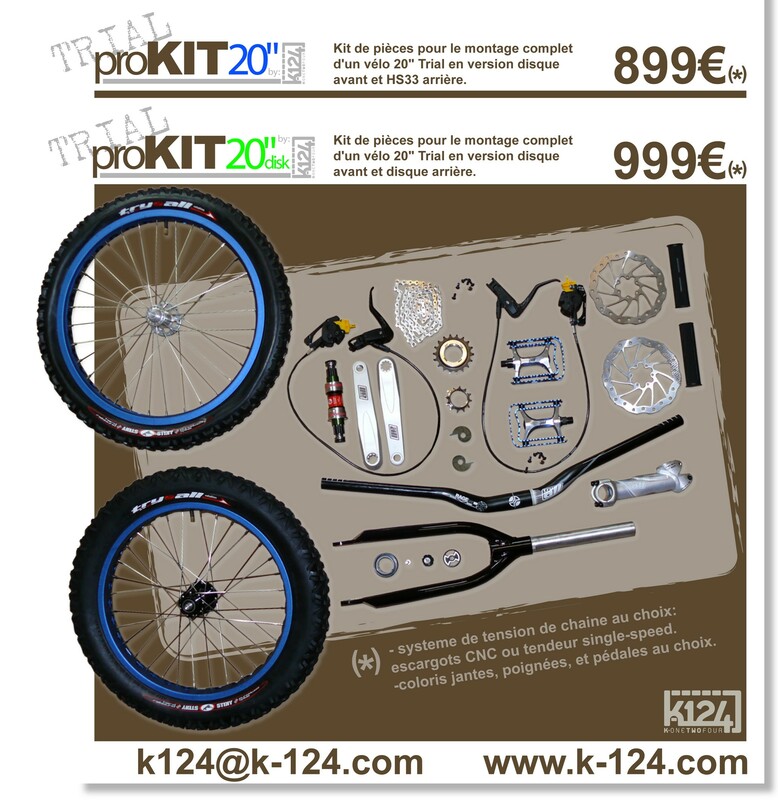 I would like to inform you about a change in a representation of BikeTrial in Andorra. Mr. Xavi Casas requested us to stop his active work in BikeTrial as delegate in Andorra. The E.B.U. thanked Xavi for a good work and support for our sport. We wish Xavi good luck and the best in the future. We also got a letter from Mr. Jesús Medrano Bigas, who showed interest in working as a delegate BikeTrial in Andorra. I am sending you this letter (see below), where are contact details for Mr. Medrano. The E.B.U. Committee unanimously agreed the change of delegate in Andorra. We wish Mr. Medrano good luck in his new position and look forward to good cooperation and development of BikeTrial in Andorra. My name is Jesus Medrano Bigas, and I will from now, in case EBU considers it as appropriate, deal with BikeTrial issues in Andorra. I am the father and the minder of Xus Medrano Rodrigo (www.xuslocura.com) being runner BikeTrial and I usually accompany him to competitions. He is training in Cesar Canas academy and we are participating in Catalan an Spanish championships. 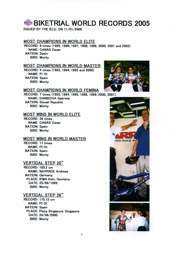 On 2011 we will also intend to run in Europe and the World championship if possible. Last year we were invited to the World Championship run in Vilanova de Prades, with much satisfaction. Our country is a very small country with a total population of about 80,000 inhabitants. 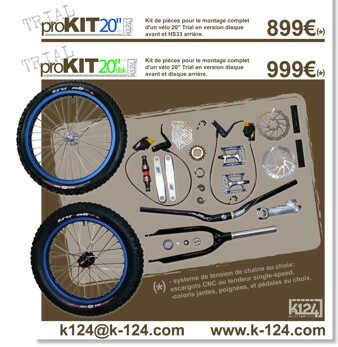 My intention is to try to revive in Andorra the taste of the Biketrial and increase the current number licenses (less than 5! ), especially with future promises which I will start to detect ASAP close to cycling contacts, clubs and schools. I will keep you informed. Note: I also know about UCI and I have no trouble about it; lets be as positive as possible. Manage, control and resolve all matters relating to administrative issues (licenses, registrations, insurances, etc.) will be my first priority. I am already in contact with Mr. Molla, Mr. Arjona, Mr. de la Torre and their administrations. I would like to thank in advance their help and cooperation. And yours, of course! After being in contact with the families currently practicing this sport in Andorra (I got their agreement), I would like to propose my candidature to EBU. In case you consider it is valid, please, just let me know what would you need as documents or so. From my side, in case EBU agree with my delegation for Andorra, I will appreciate a formal recognition (so as to issue signing the licenses as 2011 delegate) and, if possible, a file with the original vector image of licenses format (urgent). The reasons for cancelling the event were the state of the course and also the possible results of the imperfect organisation of the event. Unfortunately the organisers were not able to organise a good level of international event due to massive rainfall, wind, low temperatures and also the fact that the event had been organised in a BikeTrial park that had been partially flooded. There was even electricity failure which would have meant processing the results manually, although there was not a sufficiently large dry space available. The tents that had been prepared were not appropriate for the organisers' work in such a strong wind. The organisers from usually warm and dry Catalonia had not counted on a wet weather scenario and although after 3 hours this morning we tried to fix a new sections, it was only a provisional solution. It was not certain that at least the basic standard for an international event would be achieved. It would be worse to take responsibility for the injury and hospitalisation of a young foreign rider after allowing the start of an irregular event than to send that rider and his team home without an event at all. Generally I don't like doing things, where right at the start I am unsure of at least a good result. I did not want to risk the good name of our Catalonian organisers from Torradenbarra in an unsuccessful event as well as EBU. I am convinced that we will return to Torradenbarra with the European Cup and that this experience will be beneficial to all in the future. Of course this decision will not please everyone but I am convinced that it was the right one. 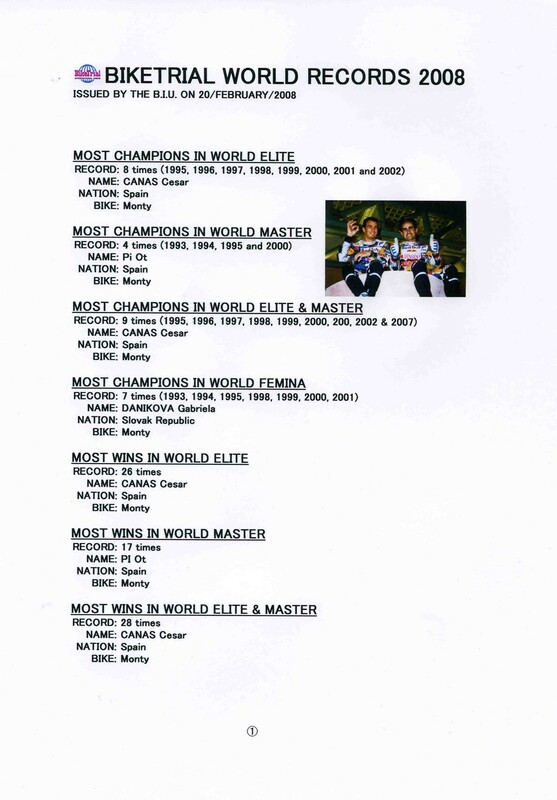 In the name of the EBU thanks to all riders, minders and families who came to Catalonia. I think that the EBU will find a way to thank them all again for their efforts and I also hope that they enjoyed their stay in beautiful Torradenbarra without the competition. Thanks to Angel Battle, Marius Molla, and their team for the event preparation. The Friday show on the square was very nice and everything was well prepared for a classic BikeTrial event in Catalonia - warm weather and a good show - as we had all hoped. However this time the weather and luck was against us. I look forward to seeing you all at the next EBU event - the European Championship 2011 in Sweden and then the 2nd round of European Cup in France and the 3rd round of European Cup in Italy. On a more important note at the moment our thoughts are with our Japanese BikeTrial friends! we have created a new webpage where we intend to inform about, for example, what´s going on related to preparations of EBC 2011 in Sweden. 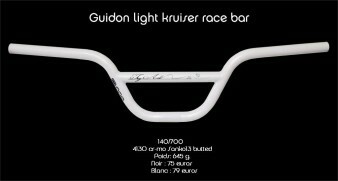 I would like you to ask you to create a link to this new website from www.eurobiketrial.com. I hope that´s okay. The new address is http://www.biketrialebc2011.org. Thanks in advance! ..and I hope we´ll meet one day! THE BIKETRIAL TRAININGS IN ITALY AND THE U.K.
We have some interesting news for you, and that is that our Czech BikeTrial rider Andrea Kabická is taking part in the Miss Czech Republic competition where she has been chosen among the best 14 girls. The final of this competition will take place in March 2011 and we are keeping our fingers crossed for Andrea that she finishes as high as possible. We hope that, should she win the title of Miss, it wont take up so much of her time that we won´t meet her at our events. Andrea, we wish you the best of luck and look forward to meet you at our BikeTrial events this year. The E.B.U. recommends this new way of warm-up before the competitions. 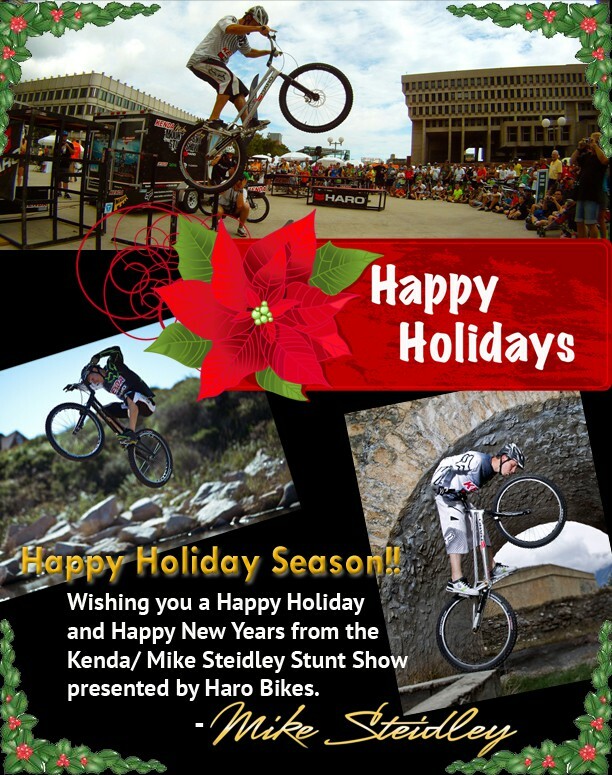 Have a happy and successful season in 2011! The very successful season of BikeTrial has just finished and the most beautiful feast is just about to come  Christmas. I would like to send you the most sincere wishes to spend it beautifully and peacefully close to your family and friends. 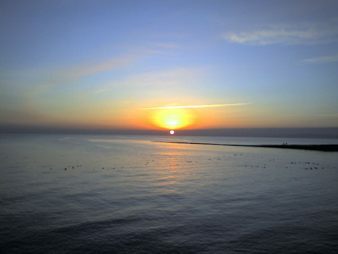 I wish you especially good luck and good health for the New Year, 2011. And I also wish, and I am looking forward, to spend nice moments at the EBU events, which will take place in Spain, Sweden, France and Italy next year. I also would like to thank the organizers of this year´s events for their big efforts and good preparation. I am very glad that we could organize so many nice and beneficial competitions for our young riders. 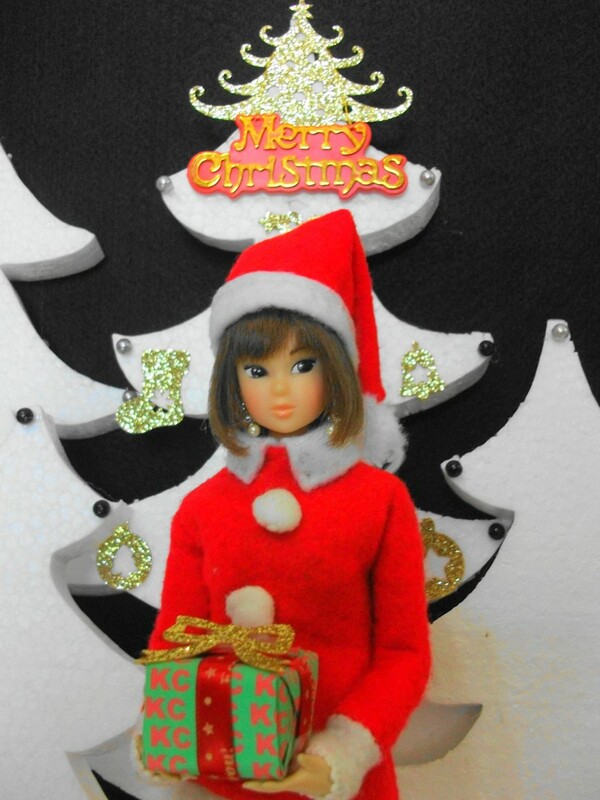 I am looking forward to seeing you next year, and have a nice Christmas time. It is with pleasure that I receive your good wishes. Please receive our most sincere best wishes for 2011 and a Merry Christmas to you and to all of you. Thank's for the christmas wishes. I hope that you and your family will have a nice christmas and a great new year. We are going to inform you about a little change of our international technical rules for 2011. Actually we do not modify any penalty rules for the competition. Just some rules to make them clear and adjusted as follows. Please check those items colored in RED. On www.biketrialitalia.it , first page, are the link to the beautifull TV Report by TV Globo Brasil, the first TV Network in Brasil, fourth Network in the World. Last Sunday was held the fifth and final round of the Swedish Biketrial Championships.We where at a new venue in the south-west, rather close to Denmark. A lot of Danish riders and also two riders from Norway attended the competition with the Swedish riders. The weather was against us so it become a realy slippery competition but the riders and spectators enjoyed it anyway. Björn Levin became the champion for the seventh time with Joacim Nymann as runner up and Peter Bäckgren as second runner up. Tobias Hult became our Junior champion. I'll send you the results of the 5th round. 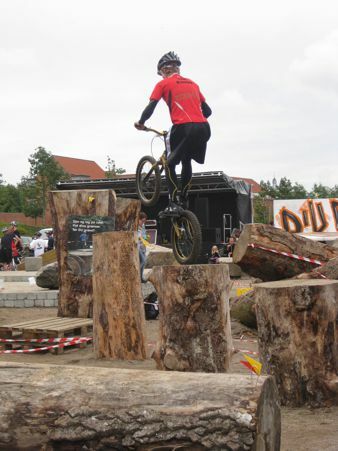 Sunday 29 of August in Castelnuovo (Trento) is ended the BikeTrial Italian Championship 2010. The Championship 2010 was consists in 8 rounds performed in: Legnano (Province of Milano), Piateda (Sondrio), Castiglioncello (Livorno), Parma, Valgoglio (Bergamo), Casargo (Lecco), Cittaducale (Rieti), Castelnuovo (Trento). The riders who participated are 87, from 24 team. The Championship is started the 03 of April and is finished the 29 of August. During the 2010 season two important international event was held in Italy: The European Cup in Castiglioncello and the WBC in Darfo Boario Terme. This, for us, was a very important year because is our "first international" year. We will remember this year also our official entrance in the the BIU family, and we are happy of this experience. The final balance is positive and we want continue on this road. The season, this year, is finished very soon and so we can think now on the next year. Many thanks to all participants, to all NBU, to Mr. Hiro and Mr. Musil for the support. We learned many things during this event and the next time we can work well. Of course. See you soon. Thanks to all. This weekend was held the third and fourth round of the Swedish championships. Saturday the weather was a mixture of sun and rain but Sunday was mostly sun. During the awarding ceremony of the Elite class by the 2nd round of the European Cup in Czech Republic last weekend, Javier Alonso was holding a flag of the United Kingdom to honour the memory of Gavin Bedford who tragically passed away a week ago. The whole audience then gave Gavin a powerful and long lasting applause for the way he lived. 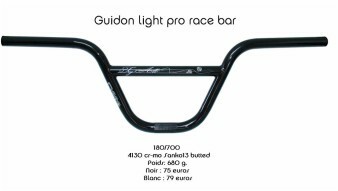 Gavin was an unforgettable rider with an amazing style and used to ride for the Ashton Diamondback team. Anyone who met Gavin would agree that he was a great person who will be largely missed not only in the community of BikeTrial riders. The European BikeTrial Union condoles Gavin´s family and all BikeTrial community in the United Kingdom. Yesterday was held the second round of the Swedish championships. The comp was in Alingsas with beatiful weather and a a lot of spectators. Yesterday was held a biketrial competition at Sofiero Castle together with Classic car and bike show. We had 21 riders in four categories, 4 girls. The weather was against us again with massive rain on the Saturday when the man made section was built and the other section was set out. During the competition was a light rain that made most of the sections slippery. I hope to have some pictures to send you but I send you the results now. Results of the first race of Spain Championship. Beautiful place, hard-working people, great environment, public.. They interested in realizing European Cup or Championship for 2011. Great start to our trials this year, well done and congratulations to the section makers on Saturday. A good trial, very lucky with some fine weather and plenty of practicing after the event had finished. Results are attached, it is an excel file. Our next trial is at Penshurst on 9th May. I received 2 CDs. The TV one is very nice. Great compliments. They are 30 minutes really important for our sport. Vittorio Brumotti continues to work for the famous broadcaster "Striscia la notizia" and he is a great advertising vehicle. Good job. I wrote to him to thank. If you can, write also to him. I send you soon his e-mail. Thank to my client, working in Italian Ski Federation, I had the name of a television author in RAI (National Italian TV) and I hope we'll have a nation service during WBC in Darfo Boario Terme. The local TV are also guaranteed. 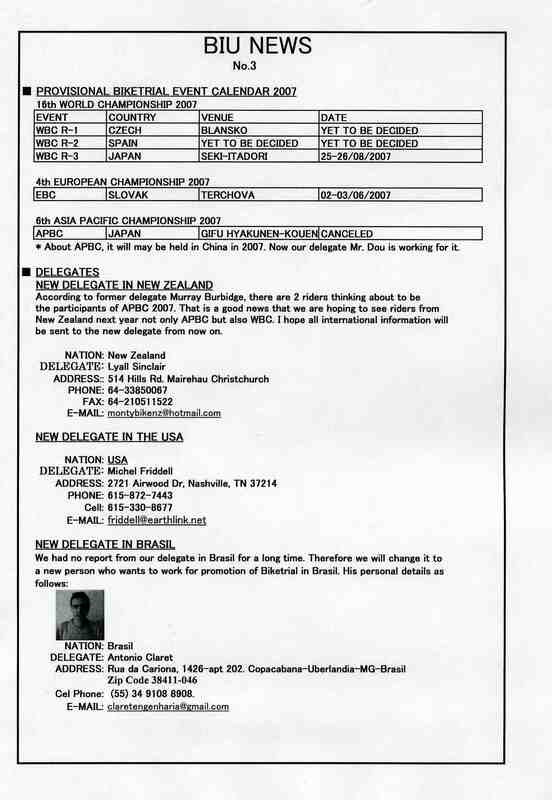 I almost finish the agenda of WBC 2010 and Rai Arona from Spain prepared the "waiver and release from". When I have the draft I send you it for the control. I want to public it within 31st March. We found a sponsor that will realize the free camping for all riders. I almost finish the deal with a big group of volunteers (about 100 people) for the WBC Restaurant service that will be inside the structure you visited when there was the awards of TDN. This service will last from Tuesday 27th June to Monday 02nd August. Excellent food for everyone and reduced prices. We are doing 500 wooden stakes. We are preparing in a stock of building materials a artificial area with large rocks that we'll bring in front of the congress centre near the start. I had the patronage of the Lombardy Region. The week before the WBC there will be the Trial world championship few kilometers from here and well do a large poster for advertise the race during this event. Today I received the thumbnails of photos that I did specially for the official poster. I send you the calendar 2010 of Italians race. In my next e-mail I'll tell you about the transport service Barcellona - Milano - Darfo BT. Last Saturday was held the second round of the Swedish indoor cup, the comp was held in Björkvik with 25 competitors in four categories. All riders rode two laps of four sections during the day, then the lower categories rode two more sections and the Elite category rode four more sections in the evening when it was more spectators . I'll attach the results from the day and the overall ranking. Some pictures taken by me are available on www.biketrialsweden.se on the Forum choose Media, Filmer och Bilder, Bilder fran Björkvik. It's only the Elite category cause I was observer for the lower categories. Ladies and gentlemen ... 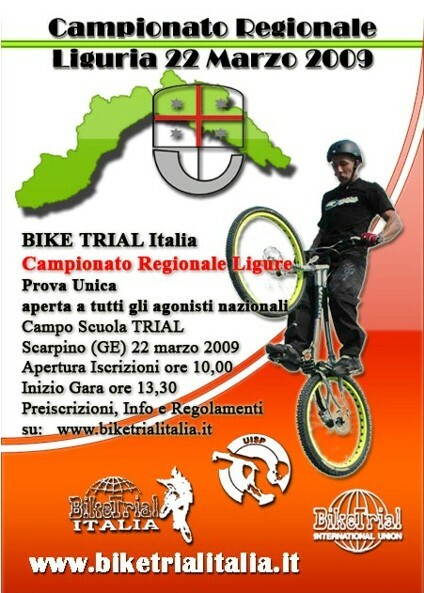 The BikeTrial 2010 Season start in Italy ! 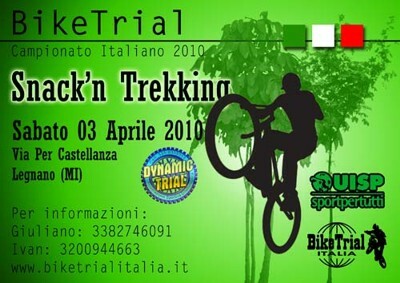 Saturday 03 April 2010 at Snack'n Trekking in Legnano (Milan) start the first round of BikeTrial Italian Championship 2010. 6 section for 3 round. Allowed Categories: Poussin, Benjamin, Promotion, Minime, Expert, Junior, Senior, Elite. At 10,30 oclock start of technical control, awards at 17,30 o'clock. Starting fee 15,00 € with on-line registration. 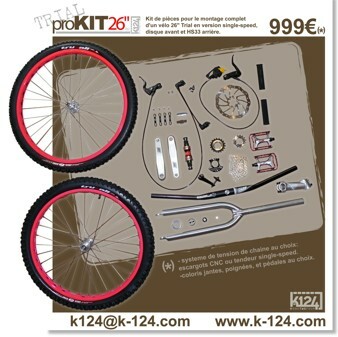 25,00 € without on-line registration. All the foreign competitors are admitted. Foreigners competitors will be included in the ranking of the competition but not in the ranking of Italian Championship. 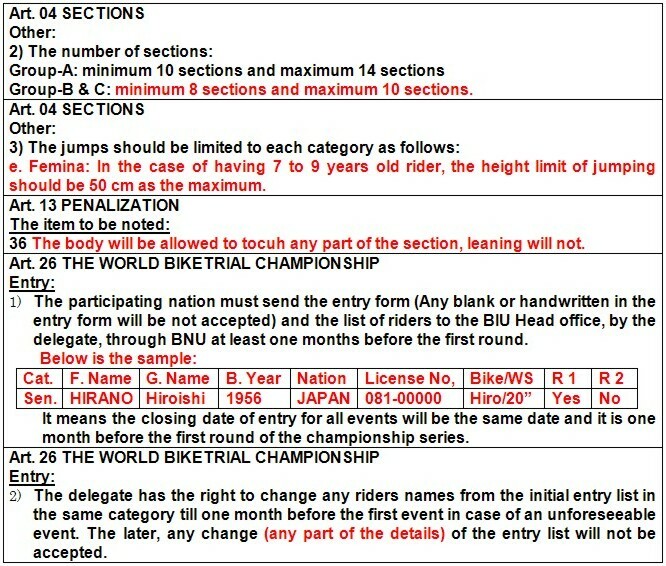 Foreigners competitors must sign "Acknowledgement of the risks". An indoor competition was held in Sweden last Sunday. There were competed four categories - from the beginners up to elite - in the cave called Area51. 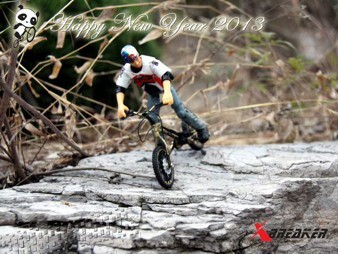 Today is a holiday in Italy and I work for BikeTrial. Vittorio Brumotti is a Italian BIU Biker. Hi has won the BIU World Championship Expert in 2004. Now become a star of Italian TV! Vittorio participates in the absolute most watched broadcast in Italy. "Striscia la Notizia" on Canale 5. A great promotion for our sport. The transmission is followed daily by 7-8 million people with 25% share. Today I write to the editor of "Striscia la notizia" thank Vittorio Brumotti for the great work of promoting the BikeTrial. Will also bring your greeting. Now I wonder if you can advertise this event. It would be nice to have some participants from Europe. The BIU 2009 BikeTrial Italia season is at the end. We are organized to finish the year one BikeTrial Race in the Snack'n Trekking BikeTrial structure visited by Hiro in September. "Direct Clash" is a BikeTrial Race with direct elimination. 4 bikers start simultaneous in 4 different zone. 1 minute per zone. 30 second for transfer at the next zone and Start. Total Time 6 minute per 4 zone. If the bikers not start at the signal of the Director = 5 penalty. In case of parity win the biker more fast in the sum of section time. The first 8 bikers go in final races: The Direct Clash. 2 bikers start simultaneous in 2 different zone. 1 minute per zone. 30 second for transfer at the next zone and Start. The winner go to the next level. the loser may recover its position in the round losers. The winner of the first round fights with the winner of the loser group. The winner of B Group must win 2 times. Free transport service from airport to race. We are very happy that Catalonia was accepted as an independent member of the E.B.U. Bellow I´m sending a short report from the Minutes of the E.B.U. 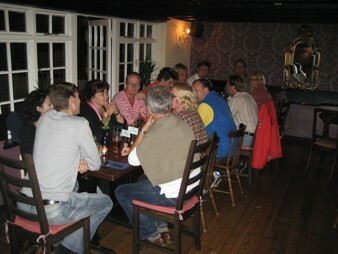 Annual General Meeting which took place on 19th of September, 2009 in Hook Woods in the United Kingdom. Belgium, Italy and Catalonia were accepted as the new members of the E.B.U. All new members are warmly welcome! Finland was expelled as a member of the E.B.U. 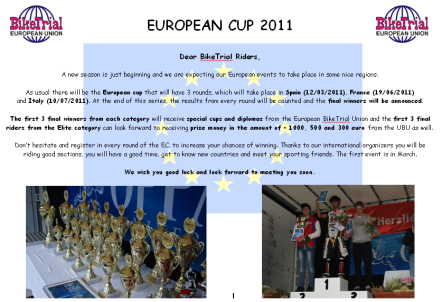 Nevertheless all Finnish riders, minders, parents and officials are very welcome at all E.B.U. events. The European Cup 2010 will be held in Italy, Germany and Slovakia (or Czech Republic). 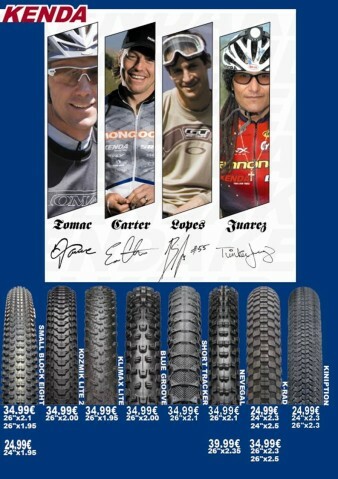 European BikeTrial Championship 2010 will be held in Andorra. The calendar of the European BikeTrial events we will publish as soon as possible. Please wait for it for coordination with you national Championships. Enclosed I am sending you also a photo which was taken just before AGM in the U. K.
Assistant to the President of the E.B.U. Yesterday we had the 5:th and final round of the Swedish Championships, a nice and sunny day but we had a lot of rain the days before. The sections was really slippery but the riders enjoyed it anyway. I'll attach the results. Dressler Camp 009 is history but it remains deep in hearts of all participants. Josef Dressler with his team organized his 3rd Camp on 12-16th August 2009 in Tanvald, Czech republic. This year's Camp had 230 participants and many spectators from 7 European countries. Dressler Camp was primarily about trials riding and biketrial contest was held every day. The main star of whole Camp came from UK. Ali C won all contests at Dressler Camp 009 and became this year's hero. Ali won TSG Retro Race, Monty Eliminator Race, Freestyle Trial Contest and its Best Trick and finally Saturdays main competition - Fallen Trial Contest. 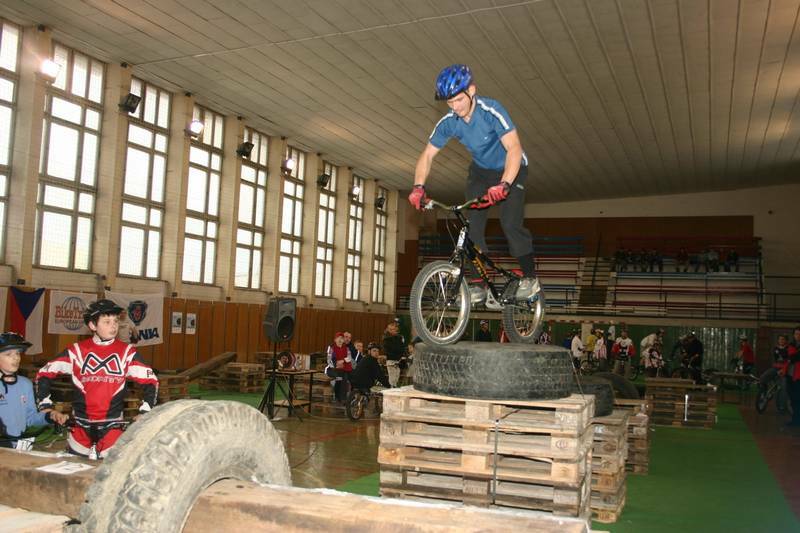 First three days of the Camp Josef made biketrials and trials school with top Czech riders teaching others. 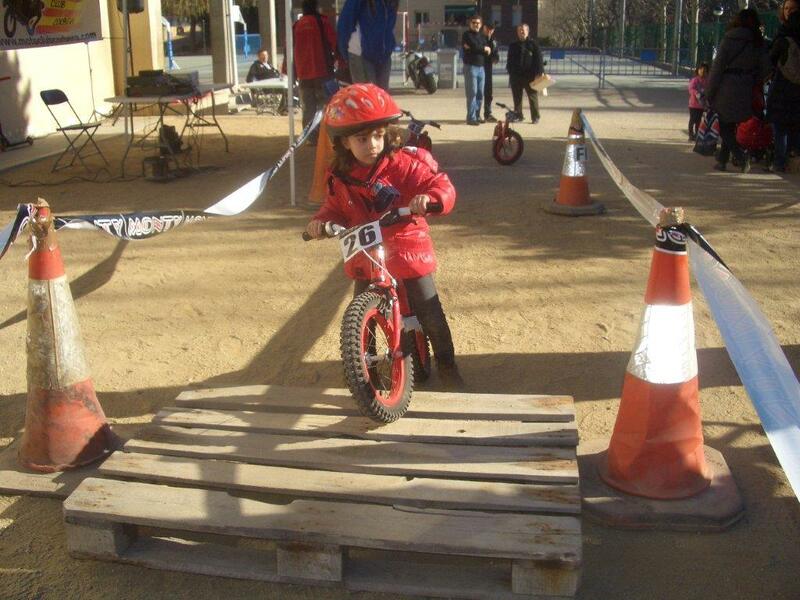 Legendary Ot Pi of Spain performed his biketrial school on Saturday afternoon. 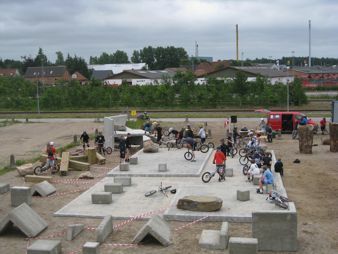 Each participant had an opportunity to rent biketrial, freestyle, freeride or downhill bikes and also trials unicycle. There was also child corner with toys for little kids, but they mainly rode their bikes all around the Camp site. Night parties and live concerts were essential ingredient of Dressler Camp as well. Table football tournament took its part in this year's Dressler Camp afterparties to fulfil Dressler Camp's motto "Trial, Fun and RockÂ´nÂ´roll". Saturday night raffle gained some money for Paracycling team Cerni kone and Cystic fibrosis foundation. As we can see the reactions and impressions of the participants, they loved Dressler Camp's atmosphere most. And the atmosphere was really great and friendly. Thanks to everyone for supporting Dressler Camp 009 and we want to meet you again next year in Tanvald. More event info at www.dressler.cz . We had the fourth round of the Swedish Championships last Saturday. An hard competition for most of the yellow and red riders. I'm happy to tell you that we had 31 riders in the event, this years highest number so far. One round left. 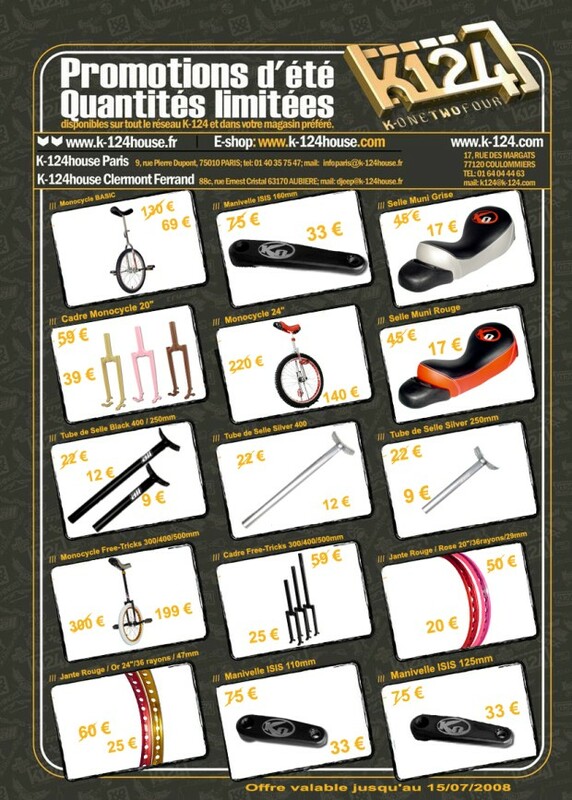 Biketrial-spain.com has just released a new DVD. This time it is from European championship held in L´Escala (Spain). It is a double disk DVD, with two awesome musical videos, interviews to the winners and all happened that nice weekend of final May. If you are interested to get it, please contact with enric@biketrial.es. Totally professional postproduction thanks to the collaboration of Xavi Martinez, a biketrial fun who is working in the Catalunya national TV as digital graphic designer, making the postproduction of some programmes and night news magazines. Impressive! 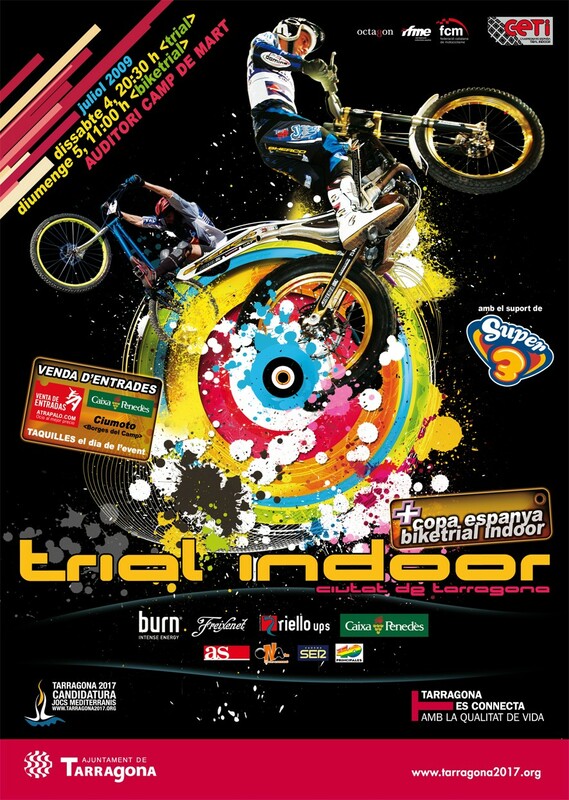 Spectacular the Spain Cup of Biketrial Indoor, in the Tarragona city!! in 2 days video youtube! The organization has remained very satisfied. Surely with help of "BAC" we will be able to organize more events as this one or more important in the next years. Regards! Sincerely yours Angel Batlle! 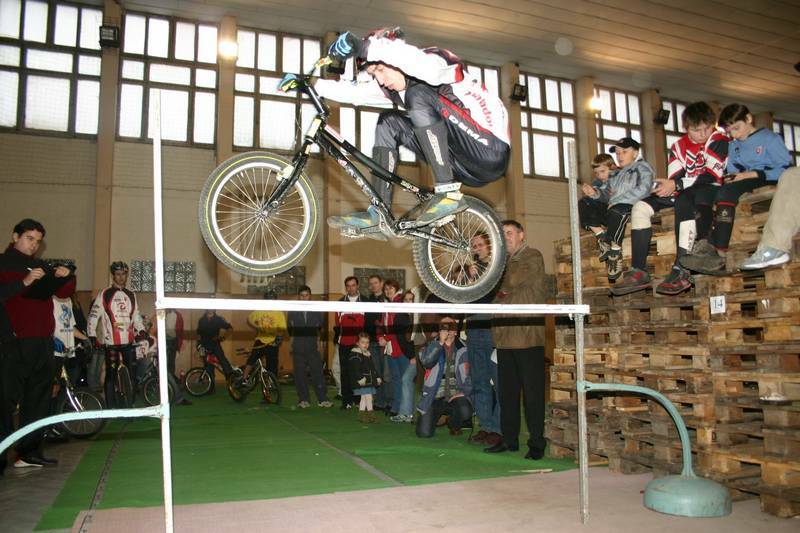 This weekend celebrates the Spain Cup Indoor, the following day of the competition of trial indoor with motorcycles. In Tarragona. 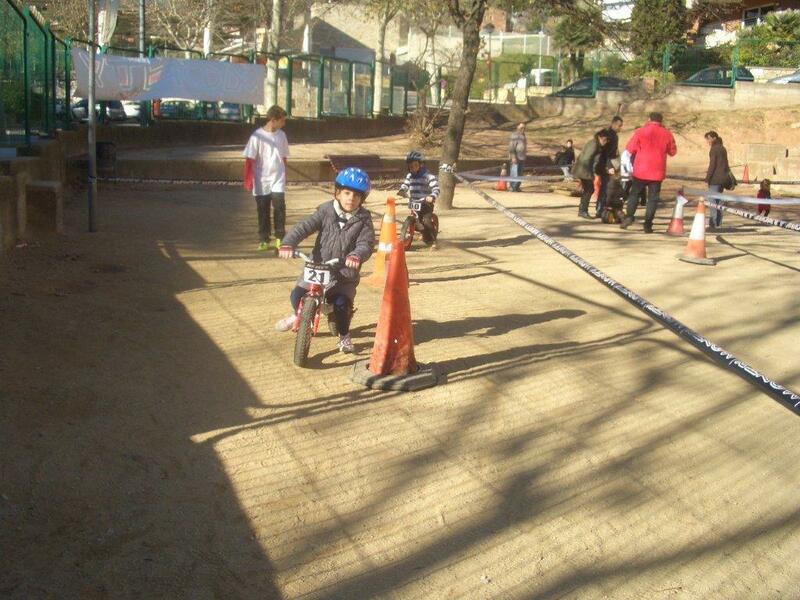 Soon another biketrial park will be inaugurated in Igualada (Barcelona -Catalonia) in the next's weeks. On July 11 and 12 there is celebrated the Biketrial's first exclusive FAIR with a lot of activities, stands, contests, competitions for riders and for the public. The event had great success and Takahisa Fujinami (Japan/Montesa)/1990 Poussin World Champion) got the 2nd Places on Saturday and Sunday. It was very exciting competition especially on second day. Funami and Toni Bou (Spain/Montesa) finished with tie score. Finally Bou won with more cleans. And nephew of Fujinami, Yuga Ujikawa (BIU 2008 Poussin Vice-World Champion) did very good job. He did his demonstration (with wearing ALIEN suit/a CM character of Weider-sports supplements of MORINAGA CO.LTD. The main sponsor of the event) at many places in the venue of MOTEGI circuit during the event and he made a good promotion for Weider & Biketrial with his loving bike Monty 207Kamel in front of more than 10,000 people. Yuga Ujikawa passed the qualification of Team Japan for 2009 WBC China Ping Tang and he will participate to Benjamin class this year. Good luck! The old address (rai@biketrialgarrotxa.com) will be available only until next Saturday. As we got e-mail from EBU about this issue yesterday, here is the explanation from Hiro about it. Actually we issued this rule about 15 years ago. Since then, we had only one time problem with a Spanish Elite rider and there was no any problem with the other. I think this rule is already understood by riders and delegates. 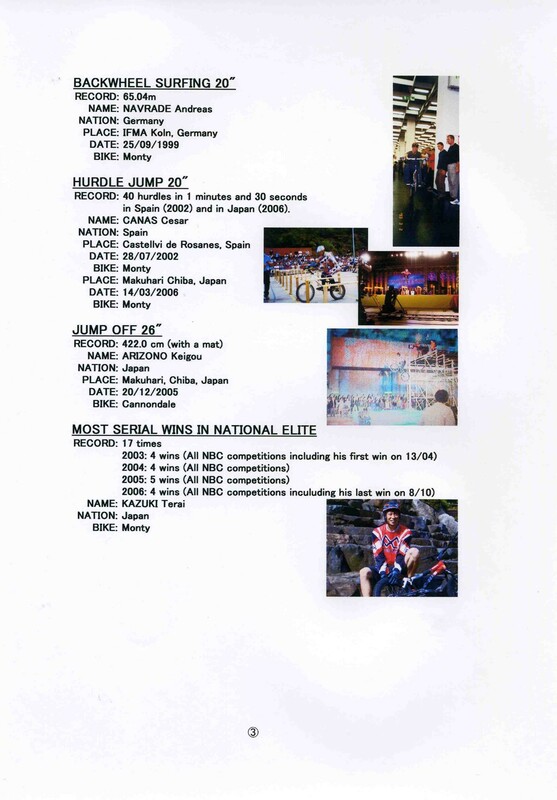 About the confirmation of the list of ELITE 2009, I sent the list to the delegates of the countries which hold Elite riders (Czech, France, Japan, Slovak Spain and UK) and it was accepted by them before issue it. Now less than 3 months before the WBC, we should not change anything about rules. What we can do is to make our discussion about this issue in the BIU congress in August for the next season like always. That will be no problem. Following is the list that BJU got the logo and URL. Thanks for your corporation! If you do not send it yet, BJU is waiting. Yesterday we organized a competition at Sofiero castle in Helsingborg as a part of Sofiero classic show. That is an exebitition of old cars, motorbikes and bikes. We had approximate 9000 spectators around the competition and nice sunny weather. It was realy good propaganda for our sport. Saturday 02th May, in Castiglioncello (Livorno), took place at the second round of the Italian BikeTrial. 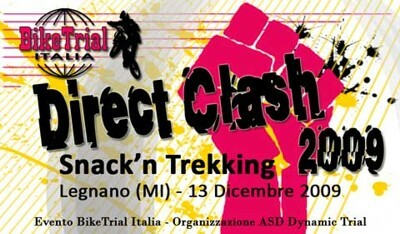 On www.biketrialitalia.it are visible classification and reports of the race. On www.adrenalinechannel.it are visible the movies of the race. On the home page you can see the preview. To see the full service (more than one hour) just click on "Video Gare" and register (user and password). At the European Cup on 28 June to Darfo Boario Terme have the same service and two local television stations. See you Friday to Brezova! 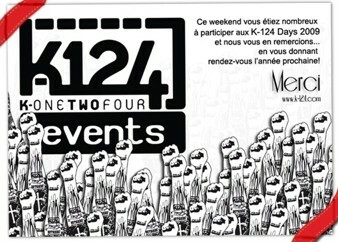 The Koxx Days was held in France the last weekend. It was a very nice competition. We congratulate the organizer for the excellent event. 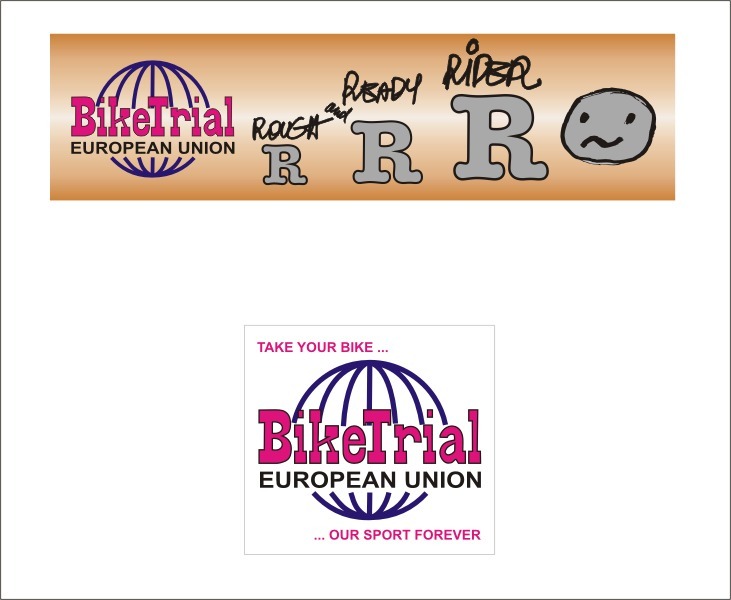 The European BikeTrial Union would like to thank Mr. Jan Havelka, Mr. Brian Matthews and Mr. Rafael de la Torre for their great help for our sport and for the supporting the riders during the many BikeTrial events. We wish them many personal and professional successes in the future. About the matter, I think it is one major reason that we could not go on with UCI. Actually they do not understand the difference between Cycle race and Competition of Biketrial. Race is racing to be the first to goal than the other and do not want to help any other competitors. But Biketrial competition is a sport to challenge to same difficulties one by one and when somebody fell down, the other will help the rider sometimes. And when somebody made clean, other competitors will give a big hand for the nice riding. It is very friendly. This kind thing will never happened in race. They cannot mix it together. And balance and technical sport like Biketrial, riders should start in young age than road race. Race is dangerous to go over the limit sometimes by heat. But we have the rules to keep limit for the kids and check system of sections. Our sport is new. kids are very important for our future. See the situation of USA, there were a lot of young riders before. But since they changed system they lost many riders and now only some old riders and a few top riders. Only 3 riders took part in a competitions even 100 spectators come to watch. We should find best solution but the matter is something more important than they might thinking about. I asked an opinion to Pere and please wait. 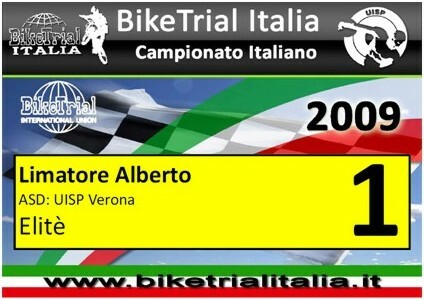 Il giorno 22 marzo alle ore 13,30 parte l'attivita BikeTrial Italia 2009. Dopo il successo ottenuto al raduno open del 1° febbraio ci sentivamo in dovere di ringraziare i partecipanti genovesi ( e non solo ) svernando in riviera. Grazie al regolamento 2009 e viste le caratteristiche organizzative liguri ci e sembrato giusto partire con una gara meno impegnativa di una prova di Campionato Italiano e quindi destinare la manifestazione ad essere il 1° Campionato Regionale di Bike Trial. Il luogo di svolgimento e il Campo scuola di Trial di Scarpino. Lattivita e agonistica per le 4 categorie che sono Minime, Junior, Senior ed Elite e che riceveranno le maglie di Campioni Liguri. Oltre a premiare i primi 3, da ricordare che la maglia la prendera il primo arrivato, per ogni categoria delle 4 menzionate, tesserato in liguria. Le altre categorie riceveranno gadget di partecipazione. La tassa di iscrizione sara di 10 euro per tutti i partecipanti che si iscriveranno sul sito www.biketrialitalia.it nella apposita sezione. Chi non si iscrive potra partecipare pagando 5 euro in piu. Coloro che volessero partecipare ai percorsi promozionali e sono senza tessera dovranno aggiungere il costo della assicurazione giornaliera di 10 euro. Ecco in anteprima la grafica dei Numeri Fissi per la Stagione Agonistica 2009. Il fondo della tabella riporta la grafica dei tabelloni che verranno utilizzati per tutta la stagione. Ogni tabella sara personalizzata con i dati del concorrente e della Associazione Sportiva di appartenenza. Prenota il tuo numero loggandoti ed inserendo i tuoi dati nell'apposito form. 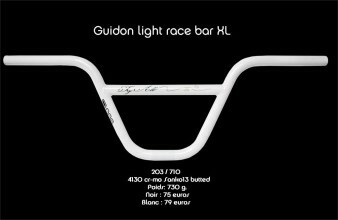 BikeTrial Italia fornira il numero a colori, plastificato, forato e con due fascette al prezzo di € 2 pagabili al ritiro sul campo gara. In alternativa il concorrente potra scaricare il file pdf per stampare e plastificare il numero in proprio dall'area download dove rimarra comunque disponibile per tutto l'anno. Il numero sara disponibile una settimana prima dell'inizio del Campionato Italiano. Dear Hiro, dear Libor, dear friends. From now on it'll be the reference about italian BikeTrial. The main purpose of this site is to become an helpful database for organizers and riders in order to facilitate procedures, entries, ecc. Just for this, we invite all of you (organizers, riders, fans, ecc.) to inscribe clicking on "Registrati" and following the procedure (the form is in italian becuse the site layout doesn't allow a clear english form, however it's intuitive and it shouldn't be difficult to perform it). 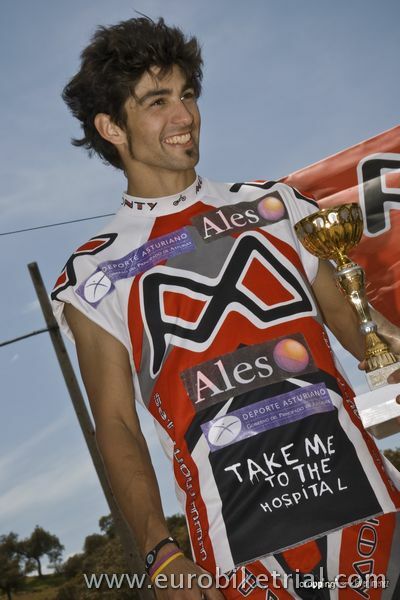 For any help, please contact me and Giuliano (giuliano@biketrialitalia.it). Of course you'll find the usual informations of italian BikeTrial (calendars, rules, ecc. ), but also all info from all world (races, organizers, news, curiosity, ecc.). You can find the english translation at the bottom of all articles that can be intresting for all foreign people. Take into account that the site is at the beginning and it'll be improved step by step. Concerning this, you've surely seen that my e-mail is changed. We think that is a nice thing that all members of italian comitee have an e-mail extension "@biketrialitalia.it". Last but not least, a *GREAT, GREAT, GREAT THANK YOU to Giuliano Gualeni and Massimo Iacoponi *who realized all of this. 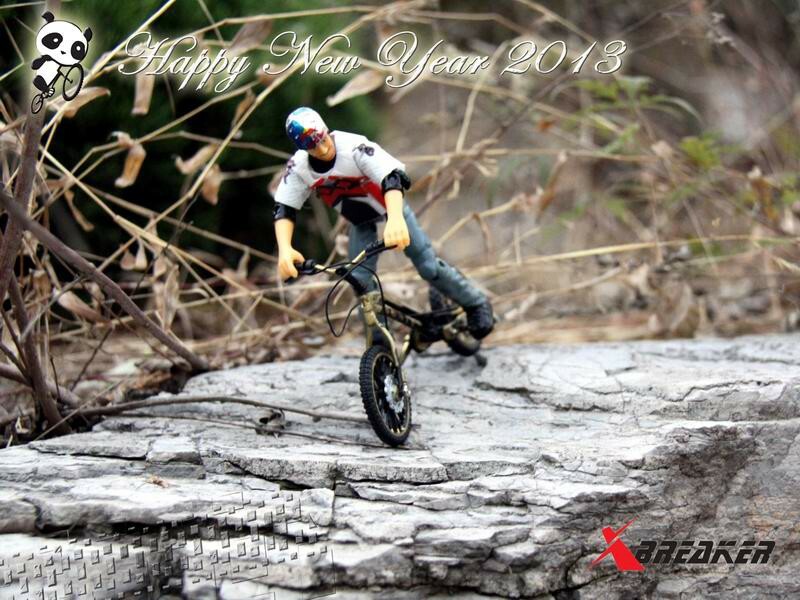 Let us inform you about a change in representation in Italian BikeTrial. We would like to express many thanks to Mr. Mauro Moioli in his very good work for BikeTrial and support for Italian riders. Last week Mr. Moioli handed over his position to the designated Mr. Federico Tarchi. We wish Mr. Tarchi good speed and next growth in BikeTrial in Italy, where, after a long time, will be the international BikeTrial event next year. Merci a Guillaume Dunand pour sa place de 5eme aux Championnats du Monde 2008, au guidon de son YAABAA 1499 !!! Last Sunday the Essex BikeTrial Club (England) organised an exhibition/arena trial in Brentwood town centre and we have put some pictures on www.picasaweb.google.com/ebtcbiketrial where you can click on brentwood demo and see some of the riders in action. As you can see we made sections for riders of all ages and abilities (including dads!) and it was a fantastic day with the mayor of Brentwood presenting the trophies at the end. Tanvald is located in the Northern Bohemia, 120 km by car from Praque, see: http://www.mapy.cz/?query=Tanvald.. 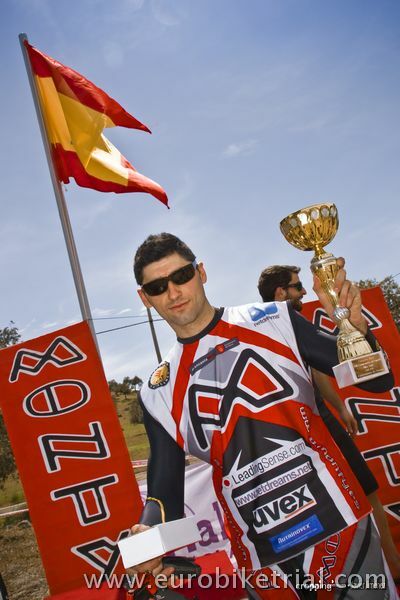 The World BikeTrial Champion "Elite", Dani Comas suffers from a brake of the scaphoid bone in one of his hands and he is to be out of the competition between 2 or 3 months. BikeTrial UK has elected the new committee. 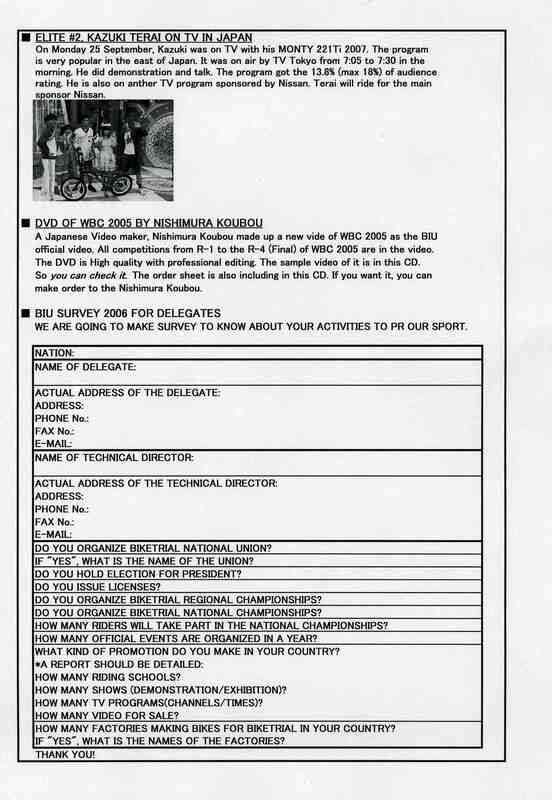 The new EBU delegate is Mr. Brian Matthews, e-mail: brianandada@hotmail.co.uk. 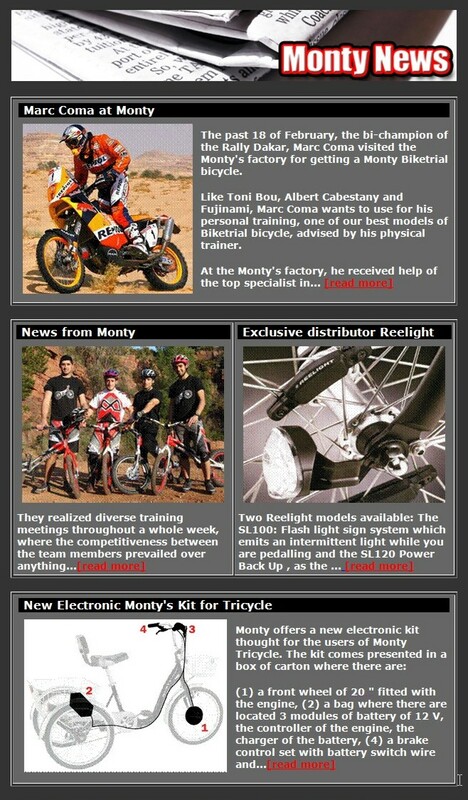 BikeTrial in United Kingdom has new web pages: www.ukbiketrial.co.uk or www.britishbiketrialunion.co.uk . We would like to thank you for all wishes in the New Year which you have sent us. We attach the wish from Slovakia and beautiful picture of sunrise from Hiroshi Hirano. 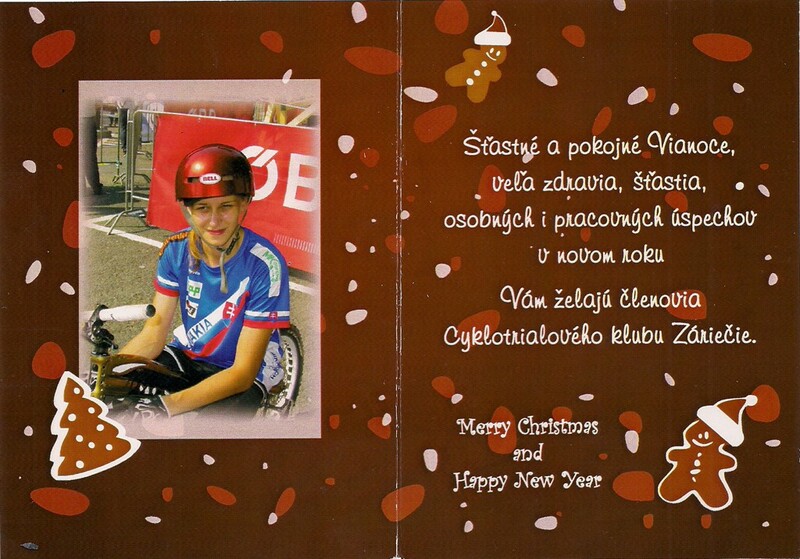 Translation of the text: Cyklotrial racers wish you Merry Christmas and Happy New Year. P.S. : Thanks for your cooperation and supporting our sport. Formal invitation to the European BikeTrial Union Annual General Meeting which will be held on Sunday 28th May between 1830hours and 2000hours after the European BikeTrial Championship in Blansko, Czech Republic. First round of the Swedish Championships happened the past weekend on 6th - 7th May 2005. New BikeTrial components were tried at the BikeTrial competition which was placed in Kysucke Nove Mesto, Slovakia at the end of the March. 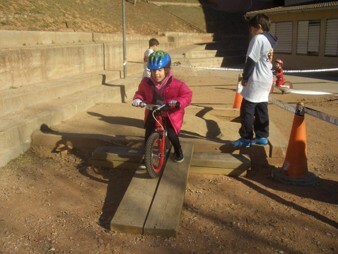 BikeTrial games contained two typical components - the high jump and the jump over the crossbar. The innovation was in implementation of the new type of section "WHO ARRIVE FURTHERMORE?" Sections were composed from the obstructions from the lowest level to the highest. Valued was: who comes furthermore and contact of the bike or foot with the ground meant automatically the end. In the small category Pousin riders got over 3 - 5 obstructions, Benjamin c. 8 - 10 obstructions, Minime got over 13 - 15. It was similar to the older categories. The total winner was determined by summing of placing. Competition was transparent and the moderator commented individual outputs. 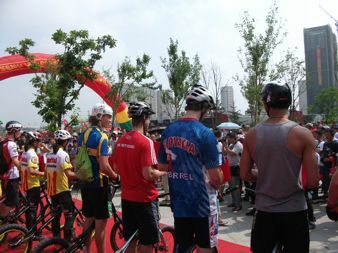 Feedbacks from the spectators and from riders were very positive. Mr. Lubomir Janoska would recommend to work off this system and use it for all indoor events, could be used for Indoor European Championships as well. 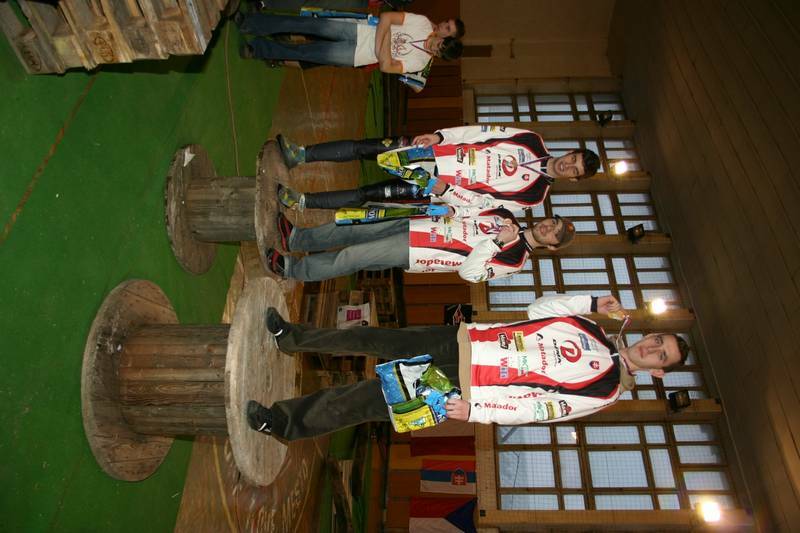 Report about the Indoor competition from E.B.U. Singapore Bike Trialists, a 10-men group will be heading up to the Philippines to participate in the coming weekends event & to promote Bike Trial in South East Asia. 1st Philippine RED BULL 4X RAMPAGE during the 2006 Terry Larrazabal Bike Festival. The competition will be feature the top mountain bike riders in the Philippines battling it out to be the 1st Philippine Red Bull 4X Rampage winner. The TLBF will be the first time that the Red Bull Rampage will conducted in the Philippines, and we the top mountain bike riders will be participating in the competition. 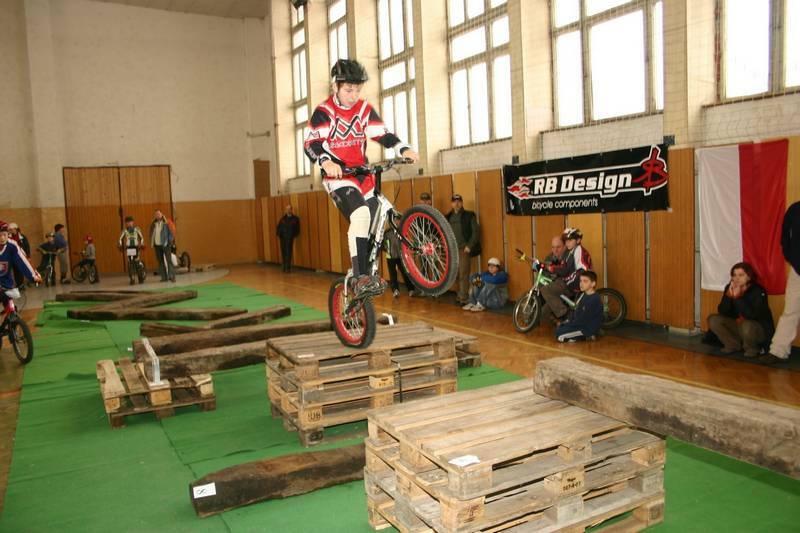 During the first spring weekend, March 25th - 26th, 2006, was held 1st Indoor European BikeTrial Championship in Puchov, Slovakia. Organization of this competition was great as well as the whole competition. More than 60 riders from 12 European countries meet in the new Multipurpose Hall. Present were also the very known riders from Spain, Dani Comas and Cesar Canas. We hope to meet all of you again in Blansko!!! New web pages in Andorra!!! On March 14th, 2006 Mr. Cesar Canas will challenge the BWR hurdle jump to brake his record set in 2002 (40 hurdles) in Spain. Mr. Dmitry Nechaev from Russia was invited to the WB Congress as a special guest. 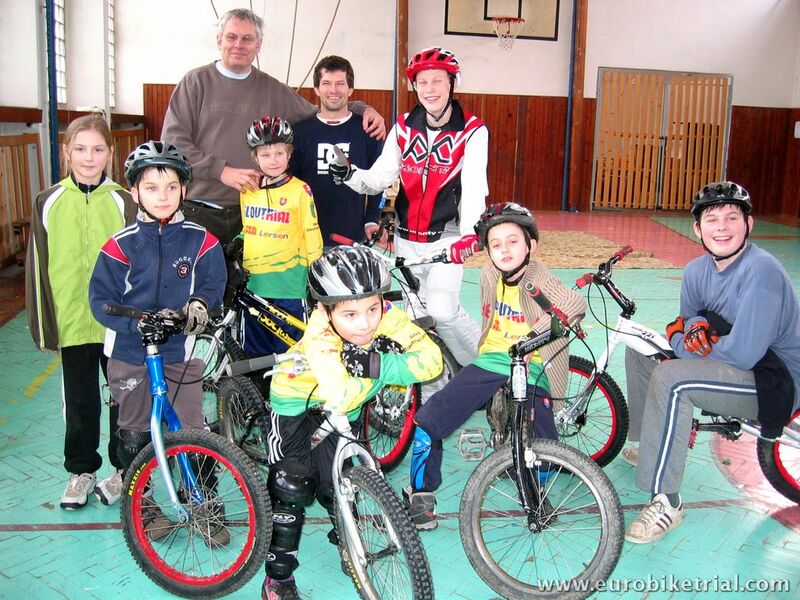 He published his thoughts and opinion about the WB Congress and BikeTrial on http://biketrials.ru/board/viewtopic.php?t=22395. There are many comments from Russian people. How Mr. Dmitry said, they are very happy that B.I.U. is coming to their country. 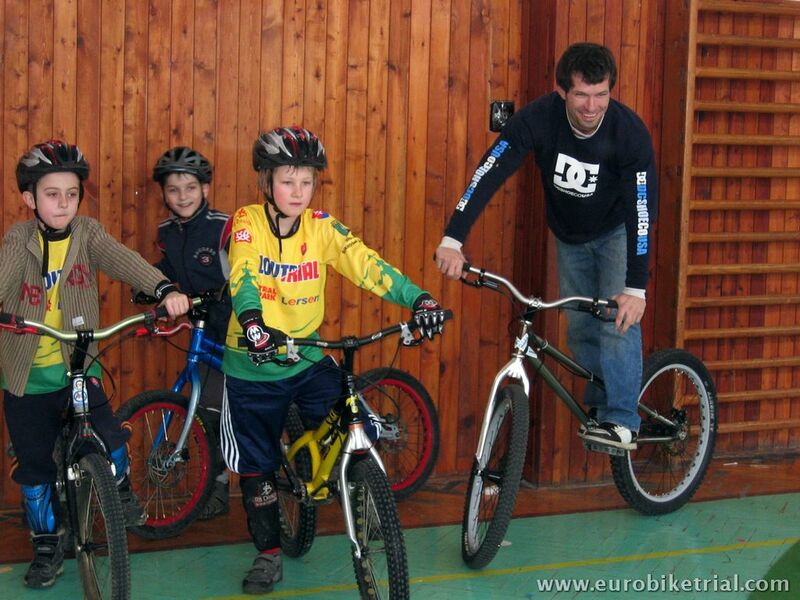 European BikeTrial Championship 2006 will take place in Blansko, Czech Republicon May 27 th - 28 th 2006. The tracks will be proceed in woody and rocky grounds upon the city and will be situated at the same place where the WBC was organized in 1996. 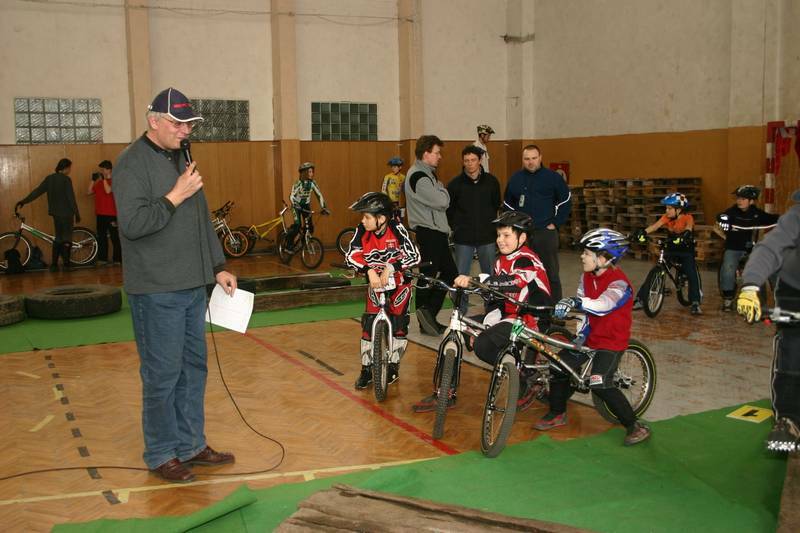 Mr. Radim Kakac, the director of Europen BikeTrial Championship 2006, introduced organizers and place of this competition at the World BikeTrial Congress in Slavkov u Brna (Austerlitz) on November 18 th - 20 th 2005. 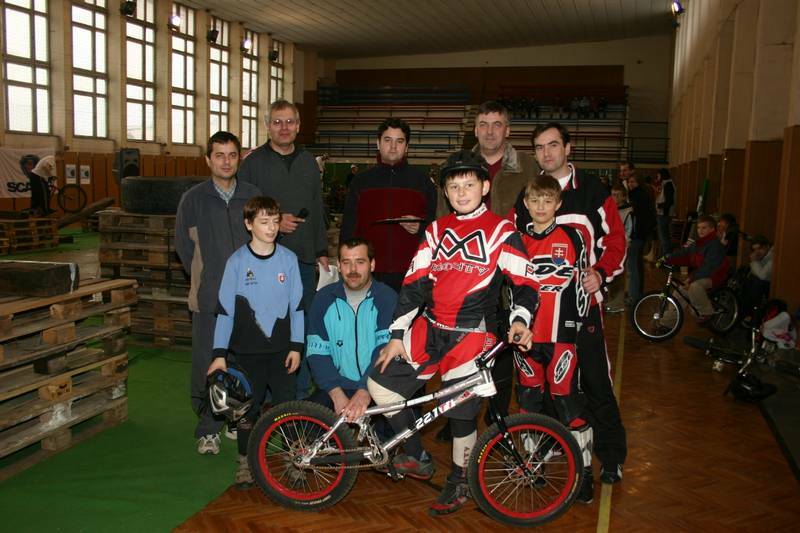 Joint cup of BikeTrial and motorcycle trial was held on October 22 nd 2005 in Klubina, Slovakia. This special action which was made up and organized by Mr. Lubomir Janoska, allowed to all participants to confront both type of these "close" sports. A speciality of this cup was that every rider could choose difficulty of the track. 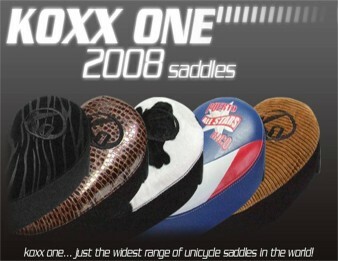 One of the sections was common for both sports. BikeTrial showed up as a more technical one. 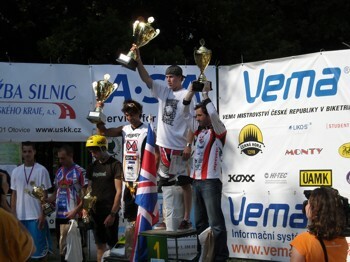 This cup visited 80 riders from Slovakia, Czech Republic and Poland. 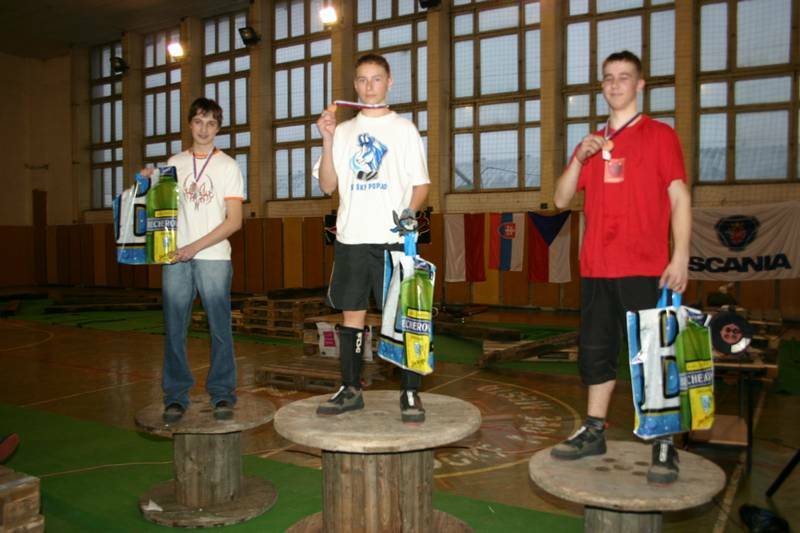 The first event of European Cup took place in Poprad, Slovakia on September17th. There were 63 riders from 6 countries (the Czech Republic, Hungary, Poland, Slovakia, Ukraine and United Kingdom). It was the first time when Ukraine riders came to the international event. 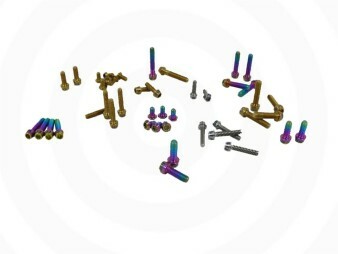 It is very positive because BikeTrial is very popular in their country( www.uatrials.com ). The event was placed both on artificial and on natural sections just in the center of Poprad in the beautiful surroundings of a modern thermal spa. Even though unfavorable weather, the organizers did great work and the cup had a high level of performance. I believe that this project will be followed through it the next yearsas well with such enthusiasm and so high participation. Elite, Swedish Champ - Björn Levin with Peter as runner up. Swedish Junior champ - Daniel Johansson with Philip Lundman as runner up. On Saturday the 19th of August the Nokia grand prix 2005, a large competition in freestyle trial, took place in Riga, Latvia. A good number of professional and amateur riders took part, including riders from Estonia, Lithuania and Russia, as well as the English rider Mike Steadman and biketrial world champion stars Josef Dressler (Czech Republic) and Stefan Pcola (Slovakia). The performance level of the entire event was high and those spectators present went away very happy indeed. Sweden will be hosting the European Biketrial Championship (EBC) in 2005. It has been decided that for this competition we shall try a new system of having a selection of ‘International’ observers in charge of the sections, instead of all of the observers coming from the host country. Hiroshi Hirano - President of the B.I.U. Libor Musil - President of the E.B.U. Enric Rubio - General Secretary of the B.I.U. It took place in the seat of the E.B.U. on the 26th March 2005. 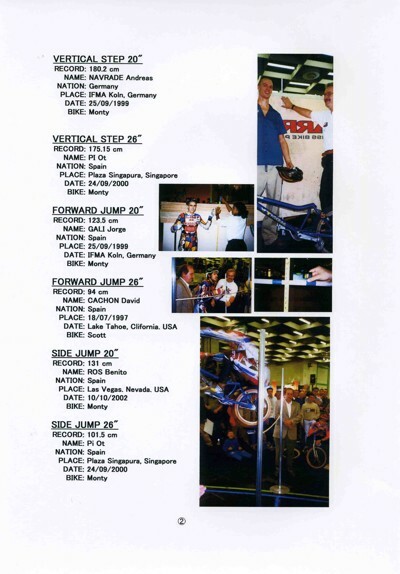 Another progress in the working plan of the E.B.U., preparation of the European Biketrial Championship 2005 in Sweden and preparationof the European Cup 2005 in Slovakia were discussed at this meeting.